The Dirty Dozen. Twelve Angry Men. Another exciting installment of Chuck's Mailbag aka Listener Questions is afoot. 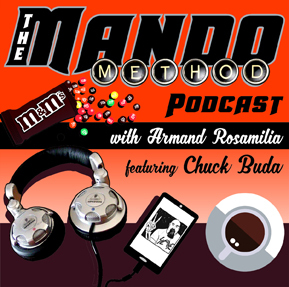 The Mando Method Podcast co-hosts Armand Rosamilia and Chuck Buda answer a question sent in from one of you's guys. Then they fill up the rest of the time with nonsense and laughing at their own jokes.